What are some cold weather animals? Did you know that many penguins live in cold weather? Talk about animals that live in the snow and draw your favorite! Try to waddle like a penguin! 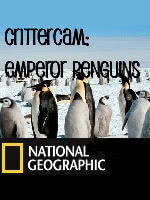 Learn more about this species of penguins, see pictures, and watch a video of emperor penguins and their babies! Print pages for a fun do-it-yourself book all about penguins.